As Tax Day approaches, many people’s thoughts turn primarily to the task of assembling all the paperwork filing entails. Others mainly think about how much they might owe, or if a refund is in the offing. These concerns are understandable, but we would do well to also think about the big picture. Are the taxes we’re being assessed fair and are they being well spent? Are those who we’ve hired to represent us in Washington reflecting our priorities, or are they voting for “tax reforms” that primarily benefit their wealthy campaign donors? * Taxation Must be Fair: It should be based upon ability to pay. As we all know, economic inequality has been on the rise for nearly four decades. During this period we’ve repeatedly given “tax relief” to the most well to do. And, even though marginal tax rates for the richest of our fellow citizens were raised slightly under President Obama, those who are best positioned to pay are facing marginal rates that are less than half of the rates the richest paid under President Eisenhower in the 1950s, an era of rapid economic growth and growing equality. 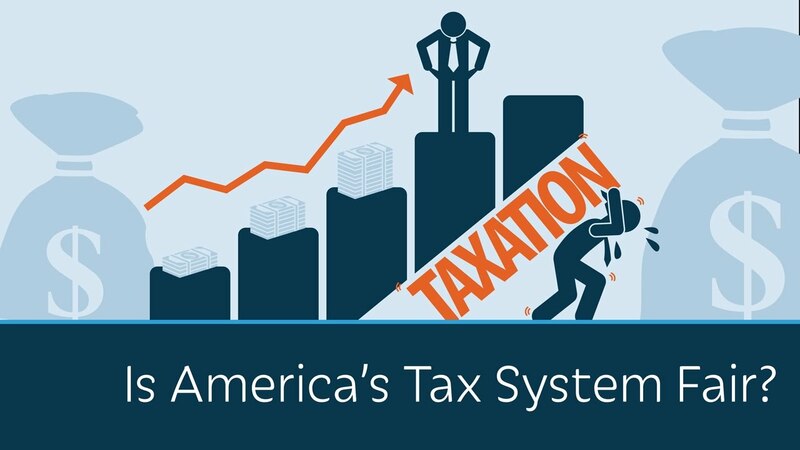 While President Trump and the GOP Congress have yet to release a specific tax plan, the proposals Mr. Trump ran on last fall called for a dramatic reduction in marginal rates for top-end earners; dropping the top bracket from 40 to 33 percent. Those in the top one percent are projected to see their after-tax income increase by 13.5 percent, according to Fortune, while those in the bottom two-thirds would see less than a two percent increase, and those in the bottom 30 percent, less than one percent rise in after-tax income. Trump’s platform also calls for cutting the marginal corporate tax rate from 35 to 15 percent, again, primarily benefiting those who have the least need for additional income. Trump’s plan also calls for eliminating the estate tax; one that only applies to estates valued at more than $5,450,000. This tax impacts only the top two-tenths of one percent of the population and is a modest check on the accumulation of vast, inter-generational fortunes. The bottom line here is we need to raise, not cut, tax rates for the wealthy, as the growing inequality we see all around us hurts people, is bad for the economy and is ultimate a threat to our democracy. 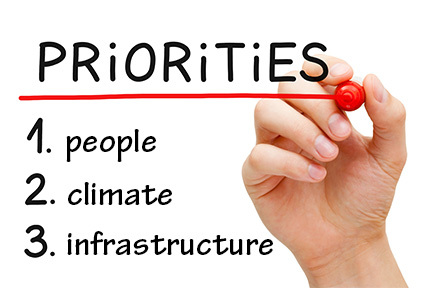 * Fund Human and Environmental Needs: We need to invest in people, protect the planet and upgrade our infrastructure. Trump’s budget calls for deep cuts in virtually all of these programs, including cutting 29 percent from the State Department’s budget, 31 percent from the Environmental Protection Agency, 16 percent from Health and Human Services and 14 percent from the Dept. of Education. These and similar cuts will have serious impacts on the lives of tens of millions of Americans. * Cut the Bloated Pentagon Budget: The U.S. spends more than the next seven largest military spenders, combined. Yet President Trump claims our military is “depleted” and is proposing a $54 billion increase in Pentagon funding. He’s also proposed an 11 percent increase in spending on nuclear weapons. These increases are corporate welfare for the Military Industrial Complex and do nothing to make us more secure. We should be spending enough for our nation’s defense, not funding global military dominance. In point of fact, the Pentagon’s budget could, and should, be cut significantly. The United States would still have the strongest military in the world. * Release Trump’s Tax Returns: For many decades every president has released their tax returns. If Trump’s finances are on the up and up and he has nothing to hide, why has he repeatedly refused to demonstrate this to the American people? He has made the bogus claim that he cannot release his tax returns because he is under audit. Well, his 2016 returns are not under audit and they should be released as soon as they are filed. This is no time for quietude. As citizens interested in our nation’s—and the world’s—well-being, we need to communicate with our elected officials and make our voices heard by our fellow citizens. Please let those who represent you, as well as your friends and neighbors, know where you stand.